The NSW Department of Primary Industries said on Jan. 15 there has been another fish kill at the NSW-Victorian border at Lake Hume. The department announced that some 1,800 fish had died at Lake Hume, which is part of the Murray River system, and that the cause of the mass deaths is so far unknown, according to AAP. “Nothing will stop this fish kill unless we get proper river flows and water levels in our dams back up to normal, but we’re looking at doing everything we can to try and limit the damage,” he told reporters at a dam near Tamworth on Jan. 15, according to local media. The aerators are solar powered and will be predominantly run through the night, when oxygen depletion is more prominent and will arrive within 24 hours from Western Australian, Blair said. Blair added that there had also been a fish kill outside Port Macquarie on Jan. 11, as well as at Lake Burrendong near Dubbo on Jan. 14. Blair attributed the Lake Burrendong incident to minor flash flooding that washed organic matter into the dam. Lake Hume is at 30 percent capacity and under the management of the Murray-Darling Basin Authority, he said. Why have up to a million fish died along a 40-kilometre stretch of the Darling River in far west New South Wales? The new mass fish deaths come just a week after up to one million fish died due to algal blooms in the Darling River at Menindee in NSW’s far west. Another fish kill in the Darling River may be expected in the coming week as temperatures are forecasted to rise in western NSW. The Bureau of Meteorology predicts temperatures to remain high in the area until Saturday, Jan. 19. Blair said that state and local governments should cooperate with the community to prevent another potential fish kill. “We know that we’ve got high temperatures right across the state and a lot of poor water quality situations particularly brought on by the extended drought so unfortunately, we are expecting that we may see more fish killed,” Blair said, according to the ABC. Meanwhile, contractors are clearing up the dead fish over 40 kilometres of the Darling River before the corpses rot. Officials from the Murray-Darling Basin Authority have called a preliminary meeting to take place in Canberra on Jan. 15 to discuss how to respond and prevent further deaths. MDBA Chief Executive Phillip Glyde said the meeting will review the latest fish deaths and the current state of the environment to see what can be done. “The fish deaths in the lower Darling River are a tragic reminder of the impact of severe drought, on an already over-stretched river system,” Glyde said in a release. “The meeting will facilitate the exchange of information about what is happening in relation to fish deaths, water quality, and drought. It will consider mitigation options and the role of the MDBA and other water agencies. “Sadly, fish deaths are common events across Australia, particularly during summer and drought conditions, and we expect more events will happen before the current drought breaks. 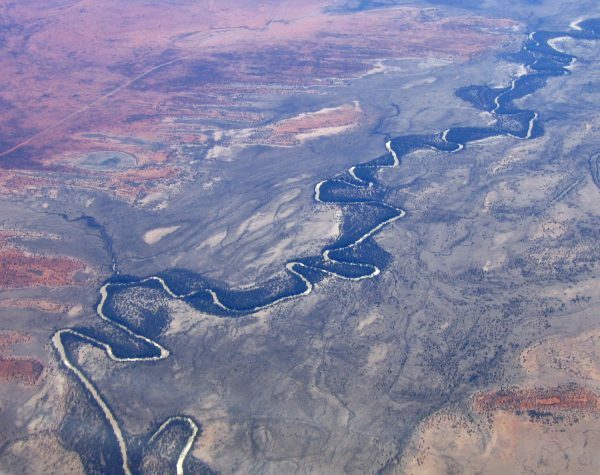 The Australia Institute said its research suggests that the Lower Darling and Menindee Lakes had been mismanaged over an extended period. “Approximately two Sydney Harbours worth of water has been taken out of the region in the last two years,” research director Rod Campbell said in a release.